Anyone from GP, or further north?! Part 2 !!! Topic: Anyone from GP, or further north?! Part 2 !!! Anyone from GP, or further north?! 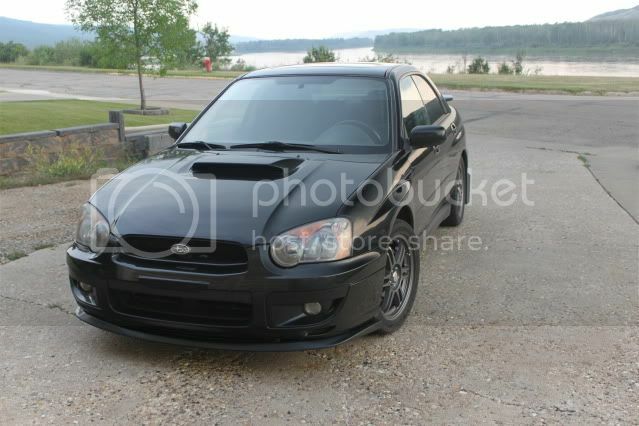 I'm making a trip down to Grande Prairie in the Sti, and am interested to meet more WSCers. I know there's a couple guys on here from GP, and i think at least one from grimshaw. If any wants to meet up. 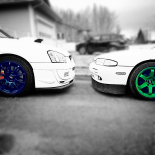 Talk car stuff/show eachother subies, or possible meet, let me know. I'll be traveling from Hay River, NT south to Grande prairie on the 14th after work, and back north on the 17th. Hope to meet more subie people! Re: Anyone from GP, or further north?! I'm up in peace river for the summer. Come on guys, I know there's more of you out there! fort st john checking in..
but i'm working midnights for the rest of the week. got anything planned for while you're there? I've seen 2 really nice STI's up here in Peace, but I don't think they know about the community.. They don't wave back. Haha lets hunt them down and slap WSC stickers on them. Kidding! But I do have extras! I'd give beer for some. I'll throw a couple in the car! I'm heading out right now. What day did you want to meet up? Sunday for lunch on your way back north? I don't have any other plans for the weekend. Shoot me a text any time. Maybe we could meet in grimshaw at subway, if you don't mind te drive? Works for me, just give me a heads up on when you'll be around there. Re: Anyone from GP, or further north?! Part 2 !!! Ill try this again, i know theres got to be a few more ppl from the northern areas. Going to be in Peace River on Tuesday the 14th, and will have a couple hours to kill. If anyones interested in meeting up? Coffee? Car talk? Don't know if your still around Mitch but let me know if you are. I go to Grande Prairie often, I'll let you know next time I'm down. I'll be around until the 26th, then I head South. What time are you going to be around town? I'll be in around noon, and will be free from around 1-3:30ish. Sorry man, I'll be busy making ice at the arena. You in town for work? No, driving the gf down. She has a exam to write at the collage there, and giving a buddy a ride to pick up his new truck. To bad your busy, let me know if anything changes. I live in Grimshaw and would kill to meet some ppl around here and talk car stuff ETC. there's not allot of car people in this neck of the woods. I'm headed back up to Peace River in may.